This set of Photoshop custom shapes includes 15 different decorative divider shapes that can be used as photo overlays. 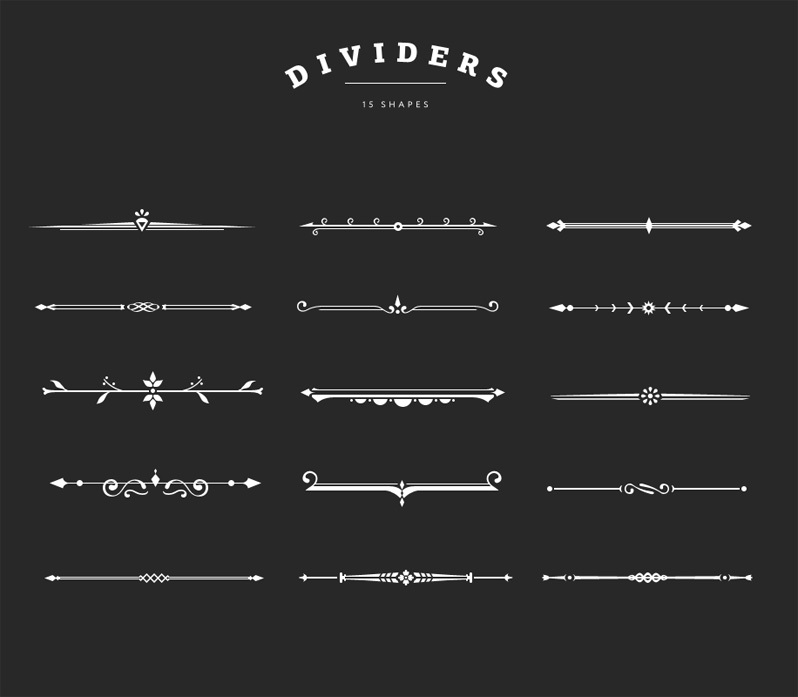 The decorative dividers come in Photoshop custom shape format (.csh file) and they also come in a layered PSD file. With the help of these stylish shapes you can quickly and easily add impressive dividers to your photos, for web or for print, and you can easily change color as needed. They are compatible with Photoshop and Photoshop Elements.